Mutual Funds are the best tools for long-term wealth creation. But, the challenge is to identify good and top performing mutual funds that can help you in achieving your Financial Goals. There are hundreds of mutual fund schemes which are available in the market. Besides this, there are plethora of NFOs (New Fund Offers, new schemes) which keep hitting the market. 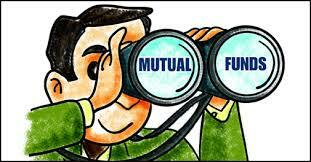 Identifying good mutual fund for long-term investment is not an easy task. Remember Wealth creation’ is a boring activity like Test cricket where a quick fifty or hundred may not always win you a game. You need the solidity and consistency of a Rahul Dravid or a Laxman more often than the flamboyance of a Kohali/Sehwag to be able to emerge victorious over the five days.